JiffyNest® gives you the freedom to sell better. 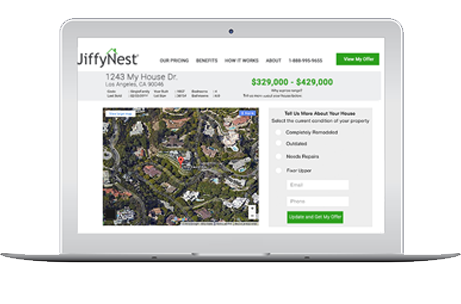 JiffyNest® is a technology driven home buying company with a mission to get you our top purchase price. We analyze your property’s location, condition, nearby comparable sales, potential rents, and much more. What makes a property more valuable then the next? Sell for the best price without all the fees!